Backwater Adventures is a full time guide service catering to enthusiastic fishermen who visit the Outer Banks of N.C.
Captain David Ward has over 39 years experience fishing the waters of eastern N.C. and is licensed by the U.S. Coast Guard and the North Carolina Wildlife Resources Commission. With over 35 local tournament wins, David will be glad to share his fishing techniques so you can enjoy a day of relaxed fishing. David is a member of the 2018 North Carolina B.A.S.S. State Team after finishing in 3rd place in the 2017 B.A.S.S. 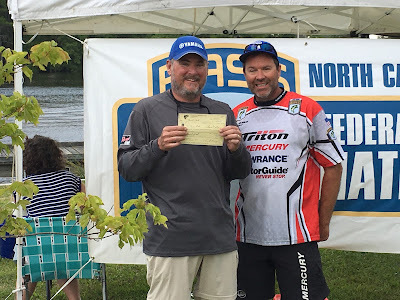 Federation Nation Eastern Qualifier on the Chowan River. You will be fishing North River, or any of the other rivers and tributaries of the Albemarle Sound close to the Outer Banks. We are honored to offer a discounted trip for Father/Son, or Father/Daughter adventures. You can choose a day of largemouth bass fishing, or a day of light tackle fishing for over 10 different freshwater species.